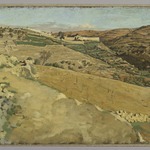 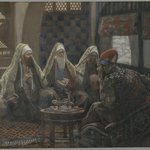 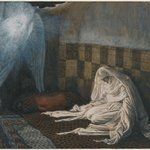 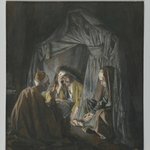 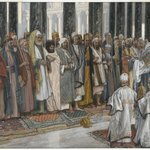 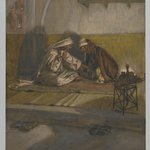 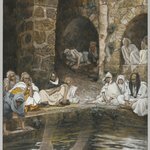 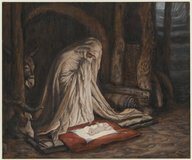 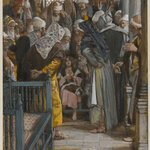 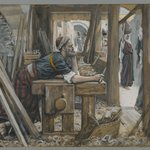 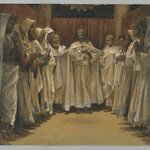 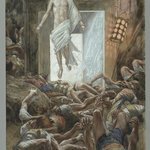 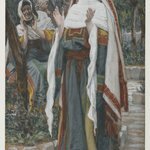 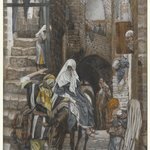 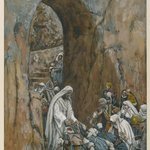 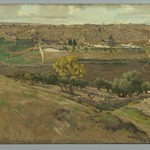 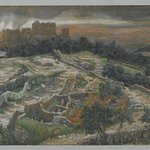 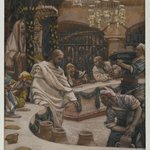 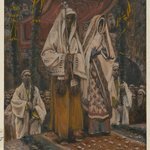 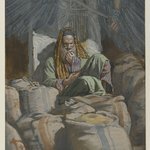 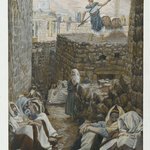 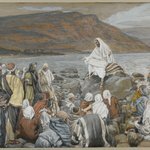 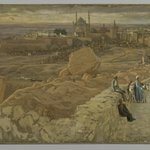 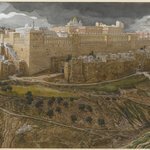 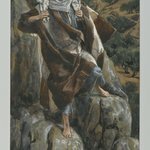 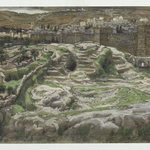 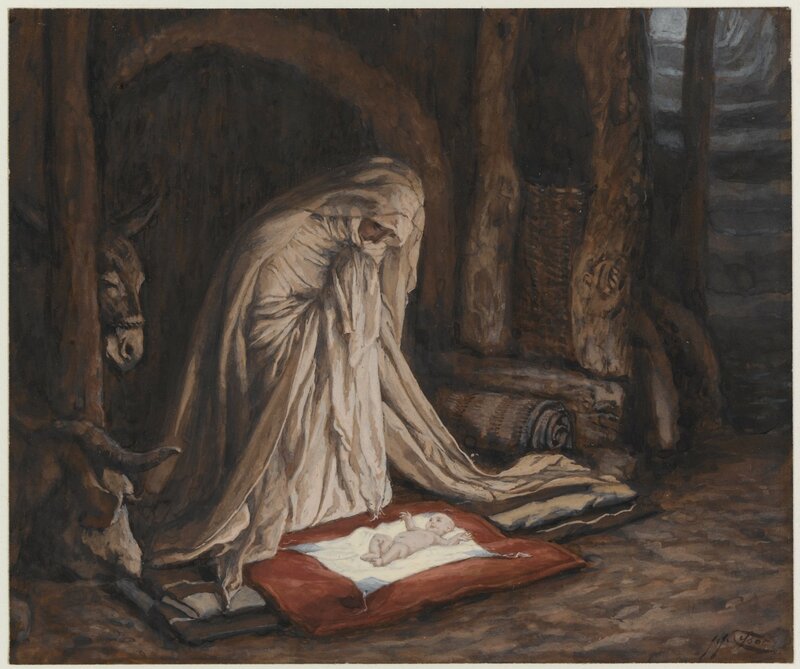 Paying his usual rigorous attention to researching the settings for his interpretation of the narrative, Tissot places the episode of Jesus’ birth in one of the caves in the mountains in and around Bethlehem, a departure from visual tradition, which often locates the Nativity in a stable. 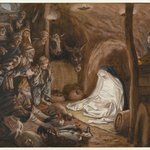 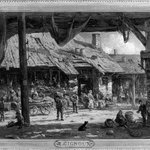 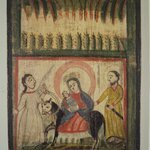 Unable to find rooms in the town, Mary and Joseph take shelter here. 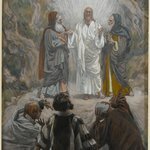 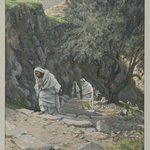 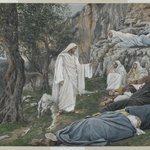 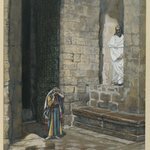 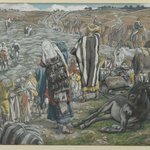 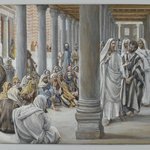 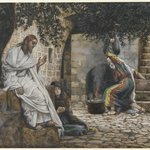 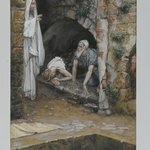 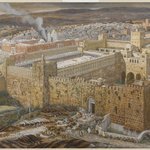 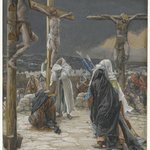 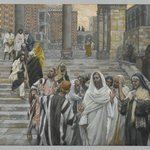 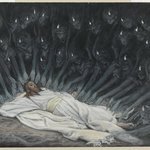 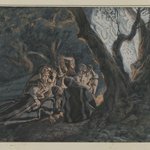 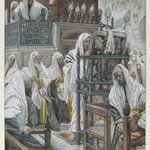 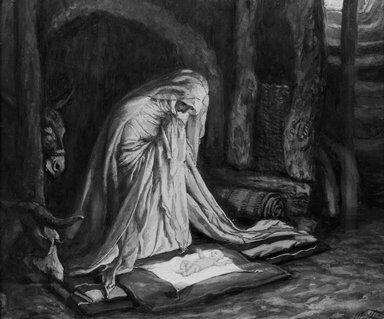 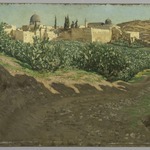 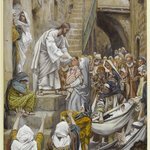 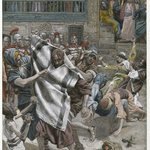 In his commentary, Tissot explains the presence of animals who gaze upon the newborn Jesus by noting that shepherds often used these caves on cold evenings. 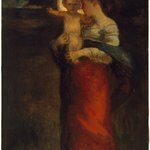 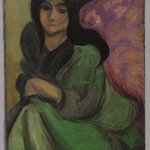 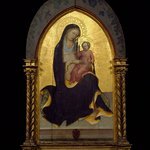 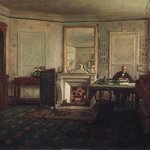 Although Tissot spurned the art-historical convention of the halo in his depictions of the Holy Family and the apostles, he endows the infant Christ with a glow that illuminates the face of his adoring mother, who clasps her hands in prayerful reverence.